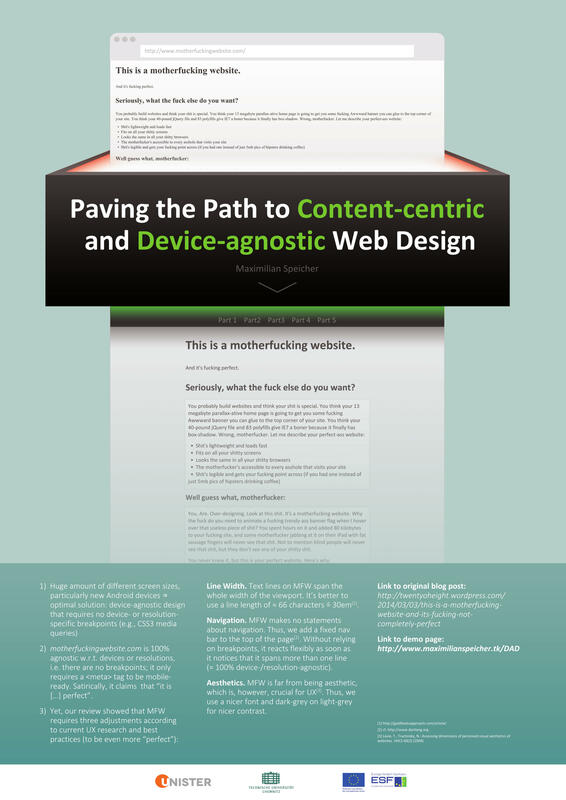 The post in which I review motherfuckingwebsite.com and propose some changes to make it even more perfect (see here) is the most widely read post on my blog by far. To date, it has received 8,715 views, with the front page of my blog being in second place having 884 views. Most of the organic traffic I receive from search engines ends up on that very article. Speicher, Maximilian. 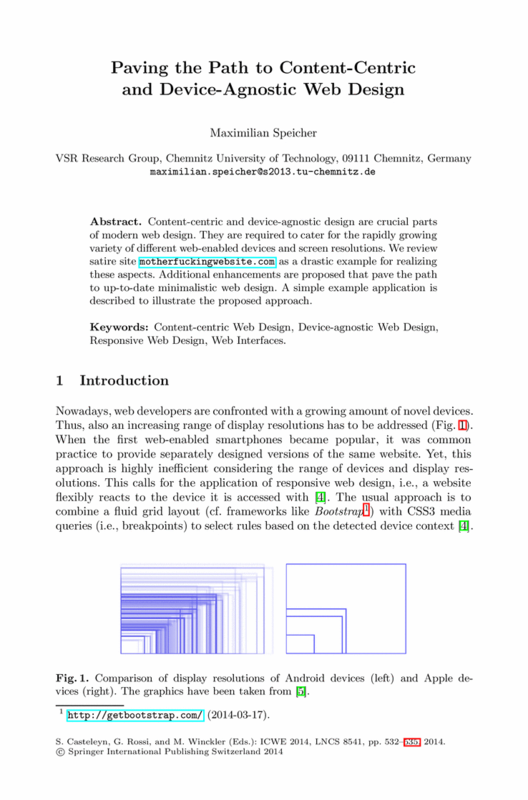 “Paving the Path to Content-Centric and Device-Agnostic Web Design.” In Web Engineering, pp. 532-535. Springer International Publishing, 2014. P.S. : In case you wonder why I had the more or less stupid idea to actually write a conference article about the motherfucking website: I was slightly inspired by the following conversation: https://twitter.com/michinebeling/status/440527478009122816.